Originally from North Dakota, Mark Glaser and Brendt Ostlie have been servicing the valley and surrounding areas for close to fifteen years. During these past several years, they were employed by a large extermination company. They have both held operations as well as management positions, each of them achieving many accolades along the way. These gentlemen are AIB (American Institute of Baking) certified as well as Serve-Safe certified. We believe in the quality of our work. That’s why we proudly offer 100% Satisfaction Guarantee on our Residential Pest Control, Cockroach Control, Scorpion Control, Termite Control, Rodent Control and Weed Control Services. ProChem Pest Solutions specializes in "Pest Elimination", not "Pest Control". 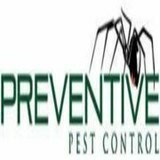 We develop a specific elimination and prevention program to combat the pest problem you are dealing with. Since 1999, ProChem Pest Solutions has served business and residential clients with every type of pest concern imaginable. 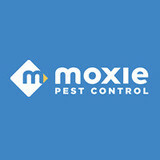 Since 2001, Moxie Pest Control has been providing high-quality service in the pest control industry. What started out as a single office in Texas has turned into a $35 million-dollar operation that spans the entire country. With a central focus on service, expertise and building life-long connections with our customers, Moxie has thousands of customers happy in markets including Denver, Phoenix, Dallas-Fort Worth, Northern Virginia, Raleigh, San Diego, Salt Lake City, Kansas City, Oklahoma City and Nashville, as well as Orange and Riverside Counties in California. Husband and Wife team Mike and Joanne Crisp established Crispy Critters Pest Control in 1999 as a one-man pest exterminating company and later added a termite inspection business. Thanks to word of mouth and referrals from our loyal customers, we have grown to serve families and businesses across the entire Las Vegas Valley including Boulder City, Henderson, Las Vegas, North Las Vegas, and Pahrump. We remain family owned and and value each of our customers. Our goal is 100% Customer Satisfaction. Your referrals are always welcome and appreciated! 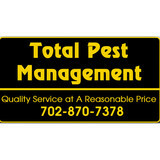 Surefire Pest Control offers Las Vegas pest control services. We offer premium service at an affordable price. Ace Pest Control can assist you with just about any pest infestation problem you may have. With over 35 years of experience, we have gained the expertise required to handle the wide variety of home infestations that are commonly found in the Las Vegas Valley. Rats, mice, cockroaches, ants, wasps, bees, and spiders are all very common infestations we deal with. Using a variety of highly effective pest control methods, we can ensure that your pest problem is taken care of, with no risk to your family and household pets. We are Top Master Locksmith, the locksmith experts in Las Vegas, NV. We service motorists as well as residential and commercial customers in the Greater Las Vegas Valley. We are a fast and reliable 24 hour Emergency Lock and Key services. We are locally owned and operated and our owner has over a decade of experience. We are licensed, insured and certified and offer low, flat price rates. Our trained and experienced technicians are equipped with the latest modern technology and are available 24/7 at your request. We provide mobile emergency locksmith services for residential, commercial and automotive customers that include emergency lockouts, auto car lockouts of all makes and models, motorcycle locks, Marshall evictions, high security locks, digital locks, fingerprint locks, combination locks, pick resistant locks, entry gate locks, sliding door locks, screen door locks, decorative handle sets, customized master rekey systems, transponder key, transponder chip key, laser cut keys, access systems, panic bars installation, safes opening and installation and much more. You can always count on Top Master Locksmith for unbeatable prices, reliable results and efficient service. Call us today to discover why we are a local Las Vegas leader in our field. As Las Vegas pest control specialists since 2006, New York Style Pest Control's team of professional pest control specialists has toiled to meet the growing demand in pest control services, both from residential and commercial clients. 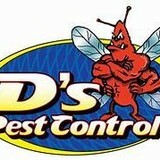 New York Style Pest Control is proud to have grown into the premiere pest control company in and around Las Vegas, NV. What makes New York Style Pest Control's pest control specialists so unique and successful is that our team is large enough to cater to a large number of customers, all the while being small enough to treat each and every client with the same amount of care, respect and attention. New York Style Pest Control pride themselves on treating our customers like people, and not like numbers. When you hire New York Style Pest Control to help you with your pest infestation problem, you can relax in the knowledge that our professional pest control specialists will take as much time as it takes to evaluate your situation and find a solution that will make your home or business pest free. What is more, our pest control specialists will always take the time to answer all of your questions, whether you are concerned about the health of your family or the impact an infestation will have on your tenants or customers. For nearly four decades, Ace Pest Control Service has been the Residential and Commercial Pest Control Company of choice for homeowners and businesses in the Greater Las Vegas Valley. We offer thorough pest inspections and expert pest control targeting ants, cockroaches, beetles, fleas and stinging insects like bees, hornets and wasps as well as hive and nest removals. We also offer pest control for arachnids such as spiders, scorpions, ticks and mites. If you suspect rodents on your property, know that we also offer successful mice and rat control and removal too. Ace Pest Control Service is locally, family owned and operated as well as licensed, insured and certified in all areas of our trade. We service Las Vegas, Summerlin, North Las Vegas, Anthem, Green Valley, Spanish Trails, Mountains Edge and Henderson Nevada. We offer child and pet friendly treatments and preventative exterior power spray. At Ace Pest Control Services, we understand how startling and unsettling the discovery of a pest infestation can be. Nobody wants to accept the grim reality that rats, cockroaches or ants are running around inside the walls, kitchen, or other places at your home or work. Unfortunately, ignoring the problem just makes it worse. This is why Ace Pest Control Services is dedicated to offering as much info regarding the pests found in the Las Vegas Valley. We want you to know what you are up against so you can relax in knowing we have the solutions to all your pest problems. Give Ace Pest Control Services a call today; we are ready to serve you! Some exterminators treat all insects the same, spraying pesticides on everything. We want to diagnose and treat each pest control case for the specific problem that it is. We'll use the proper techniques and products needed for your specific problem. We'll spend as much time as needed to properly treat your property. We'll charge you as much as the job needs and no more. We've spent over a decade learning how insects infest different houses, yards, and pool areas in Las Vegas. Unwanted guests are never fun, especially when you can’t ask them to leave. Luckily, Las Vegas pest control companies have no problem kicking them out. Whether there’s a rodent in your basement or insects in the attic, call your local Las Vegas exterminator to take care of them — do not try to wrangle them out yourself! Not sure which type of home pest control service in Las Vegas, NV can tackle your issue? Read profiles and ask about their past experiences to get a good idea.